If that’s not a Disney movie…I’m not sure what is. Holy moly! This wedding was off the hook! Gorgeous venue, breathtaking florals, a supportive, kind bridal party, the list could go on for days. Keaton and Grant have personalities that light up a room, when you put them together on the best day of their lives, magic happens. Check out this perfect day inspired by the decorative arts, you’ll love every aspect! Jeremy & Mikayla Bugh tied the knot on a beautiful summer day, it was such a beautiful ceremony, full of tears and so many honest smiles. Their service included worship songs and more words of love that you would only find in a novel. Their florals were crafted by the groom’s mother and were filled with more memories than every time capsule ever buried. Loved every second! I had so much fun shooting with these two! From the moment they stepped out of their car their held nothing back! They let their personalities shine through one hundred percent, it was beautiful! Stone Creek Park in Flower Mound is one of the more popular locations for clients, but its also popular with residents, so we have to do these sessions on weekdays as weekends are packed full of awesome people! The water is so clear, the park area is perfect for a post-session play date, yea, we play on swings quite often! Check out this session and their serious, emotive looks! They’re in love, ain’t no doubt about it. Mark and Victoria tied the knot along with their children and family! Such a beautiful June day; everything unfolded perfectly. You two started out this beautiful marriage with a marvelous wedding; from the most adorable first moments behind the wooden door, to the unity jar with your kids, to the artful first dance. I love being around your family, thank you for allowing me to be a small part of such an important day (and thank you for being such gracious and kind friends!). April 7th, 2018 | Yuma brought it this past weekend! Heather and Adam’s wedding day was sublime. How awesome is it that Heather got married in her own backyard?! The bride’s family hosted this beautiful celebration and all filled the air with laughter and good times. What better place to celebrate than the place you call home? Speaking of home, their celebration gave me a chance to come here, to Yuma, to see my family, too! I loved having my family around this weekend and to see Heather and Adam’s family love on them the same way…man, it just fills up your heart. Their day was full of peace, kindness, donuts, an outdoor ceremony, the happiest bridal party to-date, Mexican food and Coke, delicious sweets, and one jaw-dropping wedding dress. The Lytton’s wedding day was filled with easy-going spirits, huge laughs and so much peace. Their first look was so sweet, one of my favorite parts of the day! Their smiles and the way they look at each other, oiy, it’s just to die for. They have the sweetest pups in the world, though they couldn’t be present for the big celebration, they were included in some awesome ways; check out their cake!! #puppylove These two bring my heart so much happiness, I haven’t known them long, but I can see the deep and true love all their friends talk about! They take such good care of each other and allow each other to just be themselves; its beautiful. Tyler and Lindsey thank you for inviting me to be a part of this awesome wedding; I can’t wait to get all the rest of your images to you! Becca married Bailey! This wedding was nothing short of a stunning celebration! October 28th was a cool day filled with huge smiles, candy apples, a gorgeous bride, heartfelt letters, a handsome groom, and the best reception to date! Thank you both for asking me to be your photographer, it was a privilege and such FUN! Y’all, they hired a face painter for their reception, best idea ever. Thank you to Lone Star Mansion, Fete and Frivolity, an amazing bridal party, Elegance with Attitude, Infinity Films LLC, Confections in Cake, Justin Cash, and Pretty on Premises for making every aspect of this day rock!!  The first wedding to start the fall season for Cortney Dani Photography! It was THE BEST. Every aspect of this wedding was planned out so perfectly. Daniel and Allison tied the knot at Classic Oaks Ranch on October 13th, just before sunset. It was beautiful. Perfect floral arrangements and gorgeous cranberry colors mixed with navy made my heart sing. Their ceremony time lined up perfectly, the setting sun kissing every photo. Now, to the most important part: Allison and Daniel. These two people are so amazing! They’re so genuine and loving, as their photographer, I have the utmost gratitude, thank you for choosing me! You created a beautiful celebration from the ground up; I know your marriage will reflect the same. Congratulations on starting forever with your best friend (and thank you for having me be a part of it)!